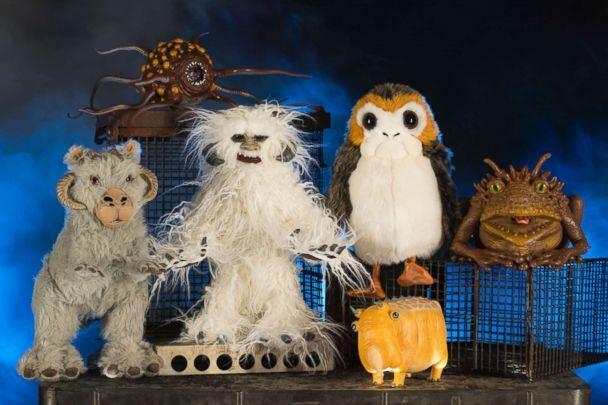 It’s hard to think Star Wars without thinking about toys. 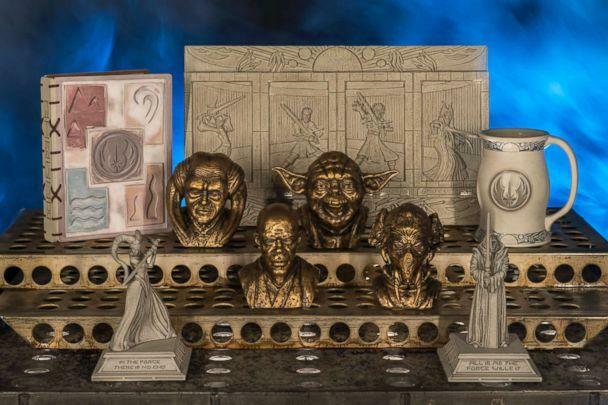 Since the moment the first movie hit the big screen, millions of action figures, toy space ships and lightsabers have fueled millions of imaginations. But what if you actually lived in that galaxy far, far away? What would the toys made there look like? It’s one of the unique creative challenges for Star Wars: Galaxy’s Edge, the twin 14-acre attractions coming this year to Disneyland and Walt Disney World that don’t just celebrate Star Wars but strive to make it 100 percent real. Galaxy’s Edge takes place in a smuggling port known as Black Spire Outpost on the remote planet of Batuu. Part of making the experience believable means the idea of steering guests into a typical gift shop as they exit a ride, as in other Disney attractions, is gone. In keeping with the planet’s carefully crafted story, you won’t find any T-shirts emblazoned with a Galaxy’s Edge logo either, or that Wookiee mask made famous by Chewbacca Mom. 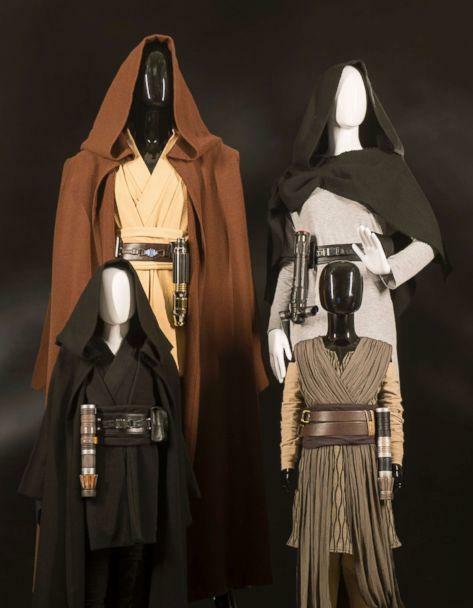 “You will experience retail in a way that only a character in a Star Wars film has ever been able to experience it,” says Brad Schoeneberg, director of Merchandise Strategy at Walt Disney World. Guests walking the streets of Black Spire Outpost will discover a variety of marketplace stalls and shops. Zabecca the Toydarian is an alien (think Watto from “The Phantom Menace”) running a shop that will offer action figures with a rougher, more artisan look and feel. You’ll find Rey, Finn, Chewbacca, Stormtroopers and a porg or two on the stands. In the Droid Depot, conveyor belts will carry the parts needed to build your own faithful astromech. 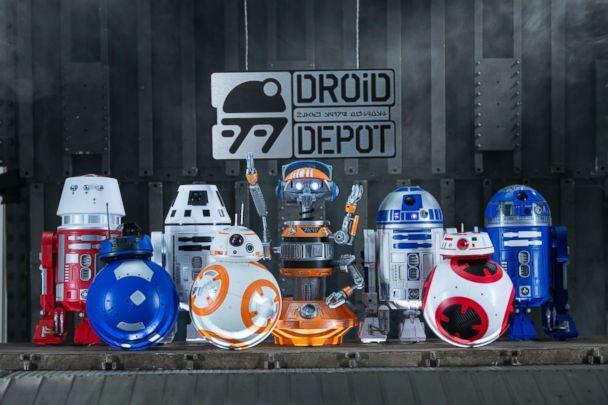 You can mix and match the pieces you want to create a droid that looks like R2-D2 or BB-8. They can also be customized with chips that make them more interactive. 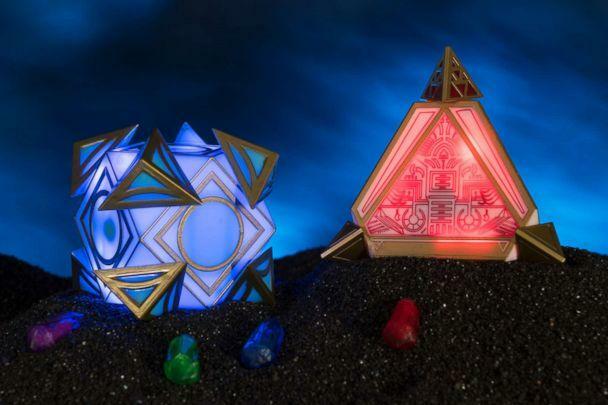 “As you’re going through the land, they’ll actually receive signals and react differently depending on where you are in the world of Black Spire Outpost,” says Disney merchandiser Cody Hampton. 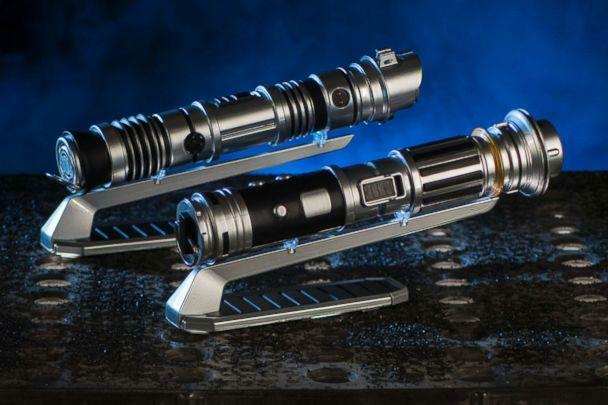 At Savi’s Workshop, guests can customize and build high-end lightsabers. There are four choices of Force-attuned “kyber” crystals to put inside that will determine the color of the blade: red, blue, green or purple. The items over at Dok-Ondar’s Den of Antiquities are said to be rare and mysterious. 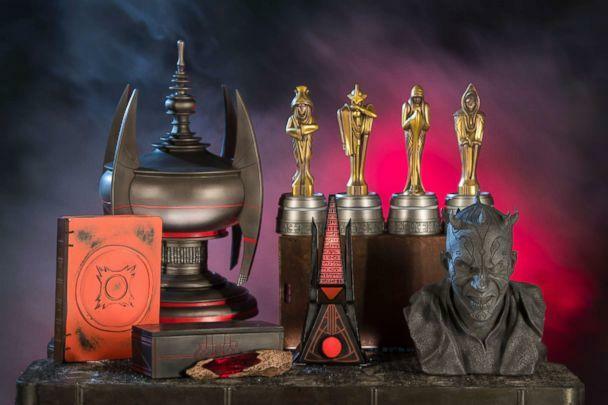 Dok-Ondar’s offerings include Jedi and Sith holocrons, which only reveal their knowledge and wisdom to those skilled in the Force. Guests to Black Spire Outpost will also find a couple of places to buy merch that lets them show allegiance to either the First Order or the Resistance. Members of the First Order’s 709th Legion, known as the Red Fury, will operate a stall in a docking bay selling helmets, journals and waterbottles. On the opposite side of Black Spire Outpost, Resistance Supply will sell its own propaganda, including new pins, badges and hats. 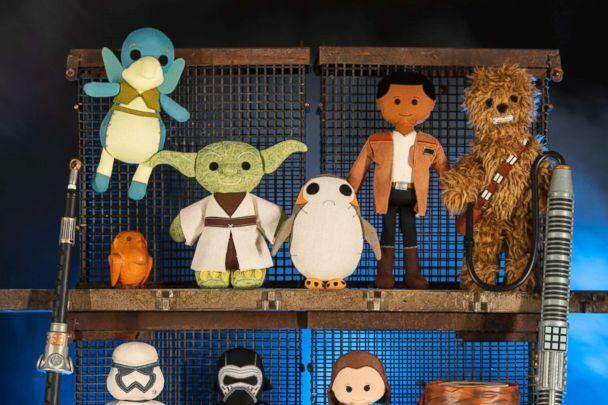 Droid and other toy prices are still being determined, Disney says. Star Wars: Galaxy’s Edge will open in the summer at Disneyland and later this fall at Walt Disney World. The Walt Disney Co. is the parent company of Lucasfilm/Star Wars and ABC News' "Good Morning America."